These games are the last of the 50-over competition for India going into the World Cup commencing on 30 May in England. "I think there was a bit of notion that we are going walk there and win the World Cup easily. So it's a good thing that has happened. 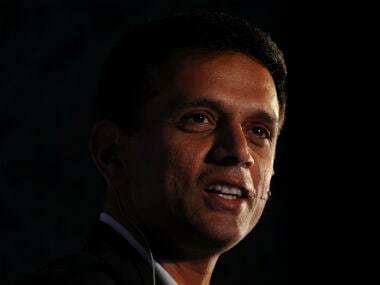 What it has (the outcome against Australia) reminded us is that we have to play the World Cup very, very well," said Dravid. He was speaking at the launch of ESPNCricinfo's new metrics, Superstats, along with his former India teammate Sanjay Manjrekar here on Wednesday. "In a way I think its a good balancing factor. India has performed well in the last couple of years. There was a little bit of talk that we are almost going to walk in there and win the World Cup very easily because we are the No. 1 team and we have been dominating one-day cricket for the last couple of years," said India's current under 19 and A team coach. "But I don't find anything strange from my perspective watching the series. I still feel that we are going to be one of the favourites. But its going to be tough. Its going to be competitive," the cricket stalwart insisted. 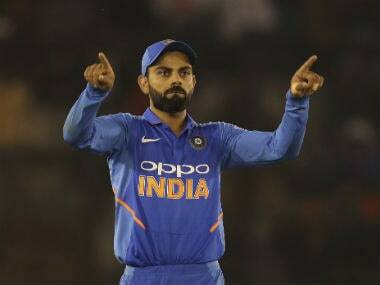 Both Dravid and Manjrekar also answered queries on the much-talked about work load factor in the IPL starting on 23 March for some key Indian players, who are expected to make the World Cup squad, such as Jasprit Bumrah and Hardik Pandya.